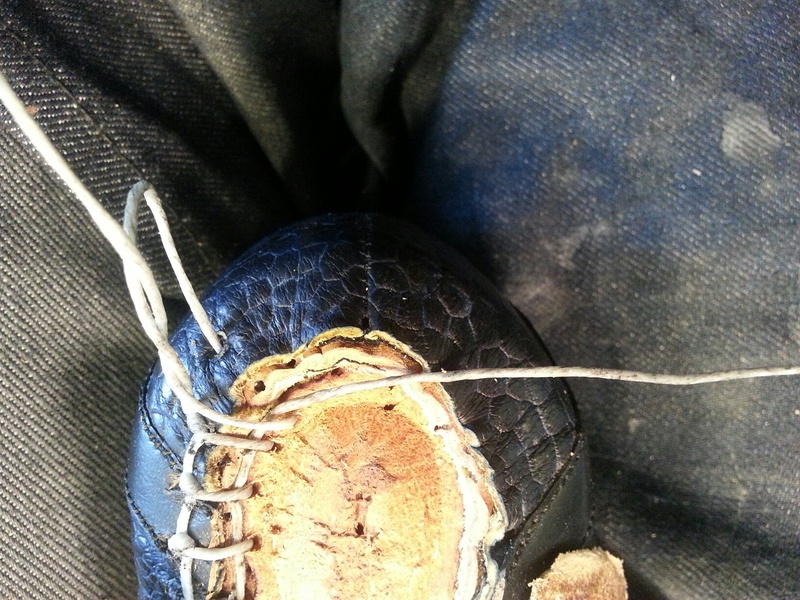 When a shoemaker completes an English welt they have multiple options about how to attach the heel. 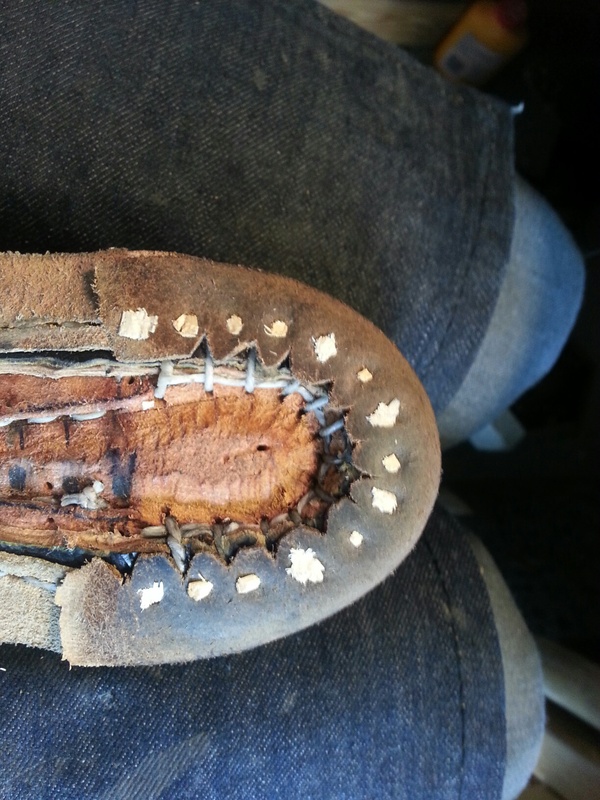 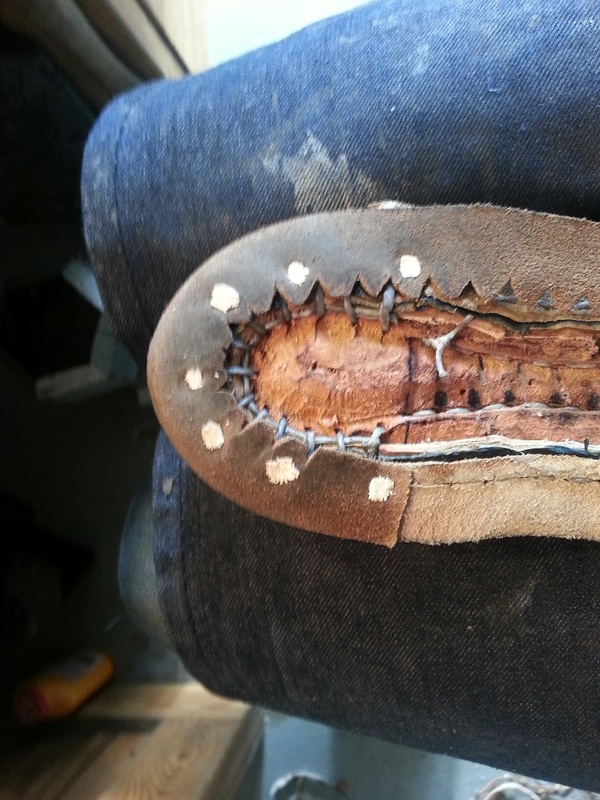 It can be glued and nailed, or pegged, or stitched multiple ways without a welt, or welted continuing around the whole shoe. 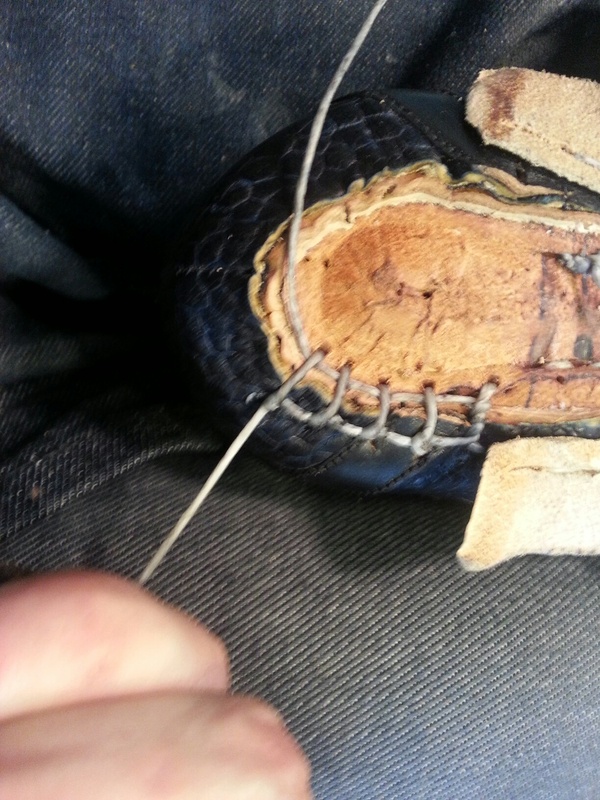 I choose to stitch the heel without a welt and afterwards attach a rand. 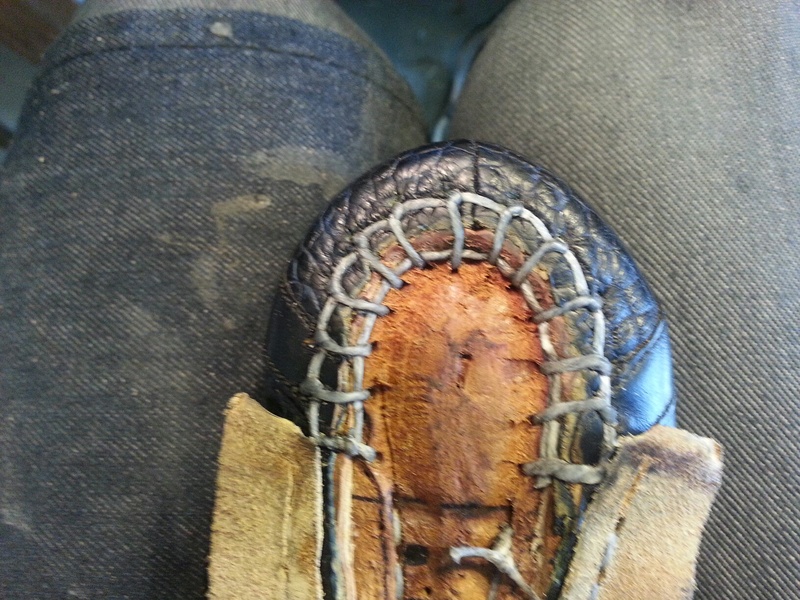 The stitch I use on the heel is a different type than what I welt with but the stitch length remains the same. 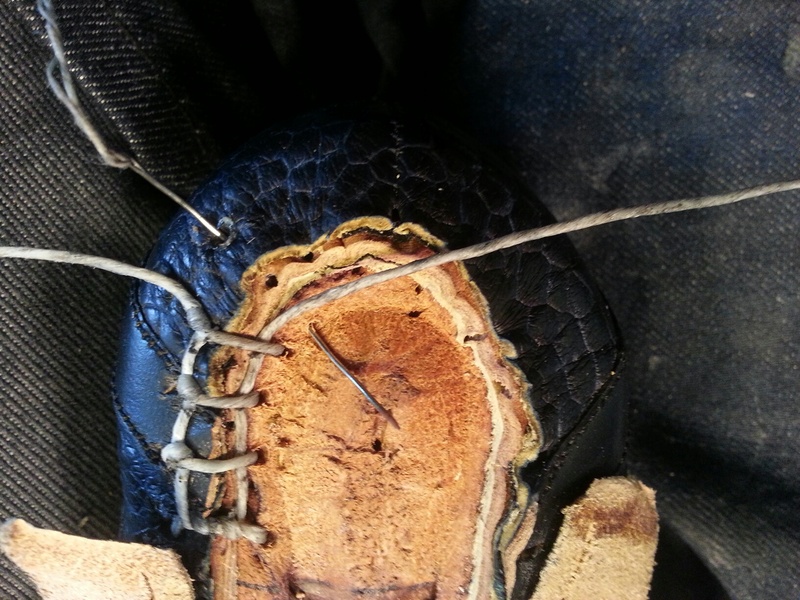 After this is neatly completed I peg the rand therefore completing the welt and helping it look seamless along the sole when finished. 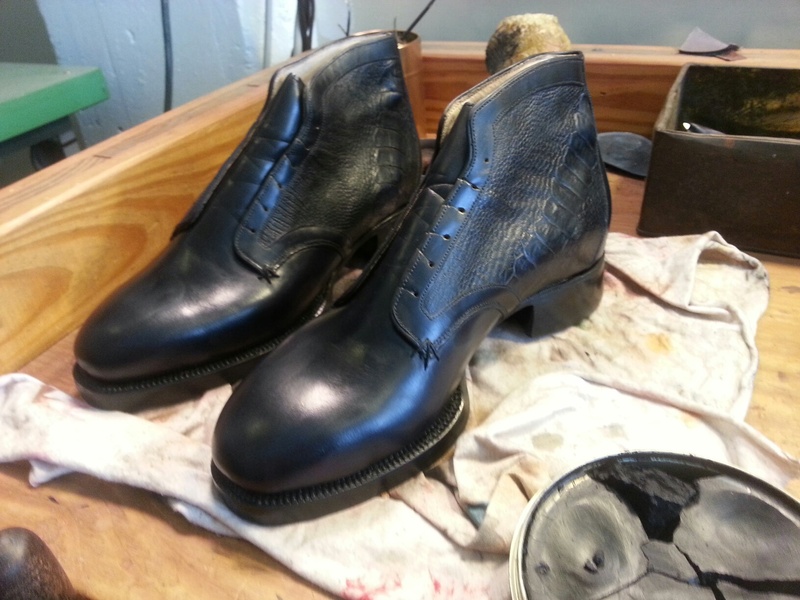 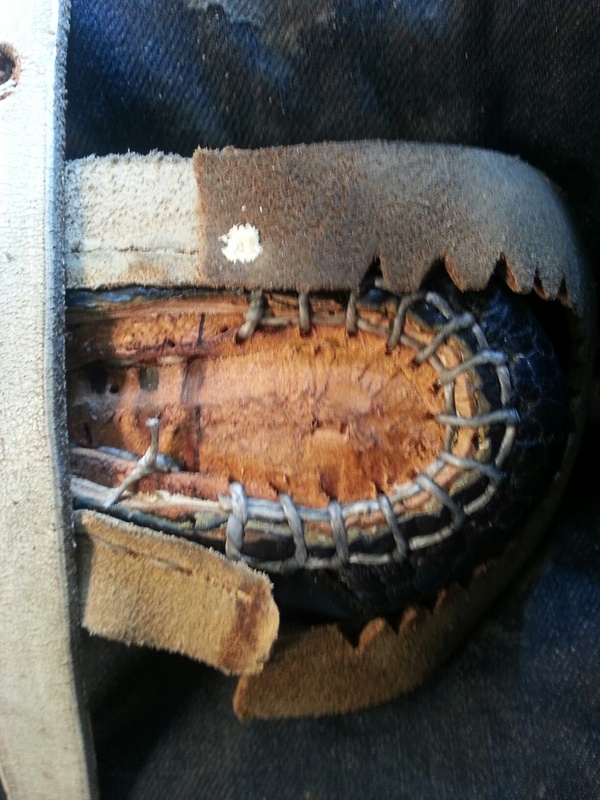 These boots are double soled English welted with a beveled waist. 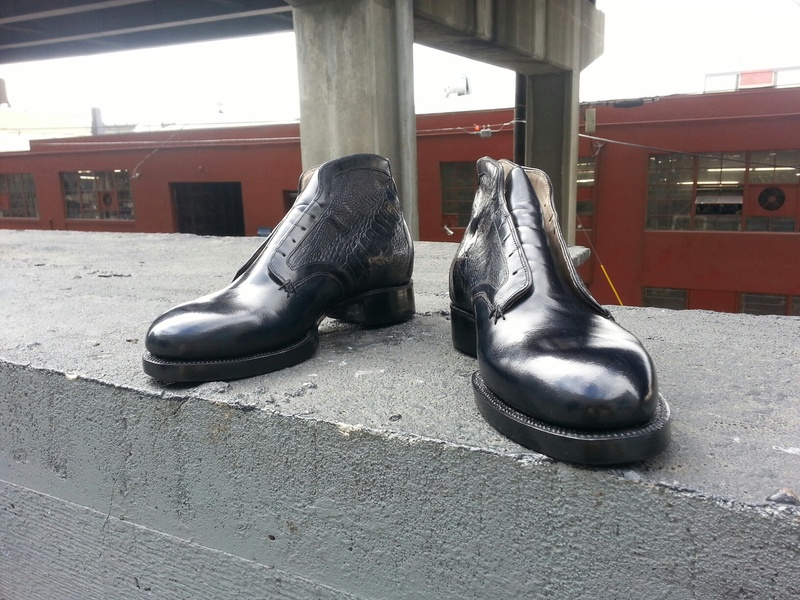 The uppers are a derby pattern with ostrich leg quarters and Italian calf vamps, finished in a black with blue undertones. 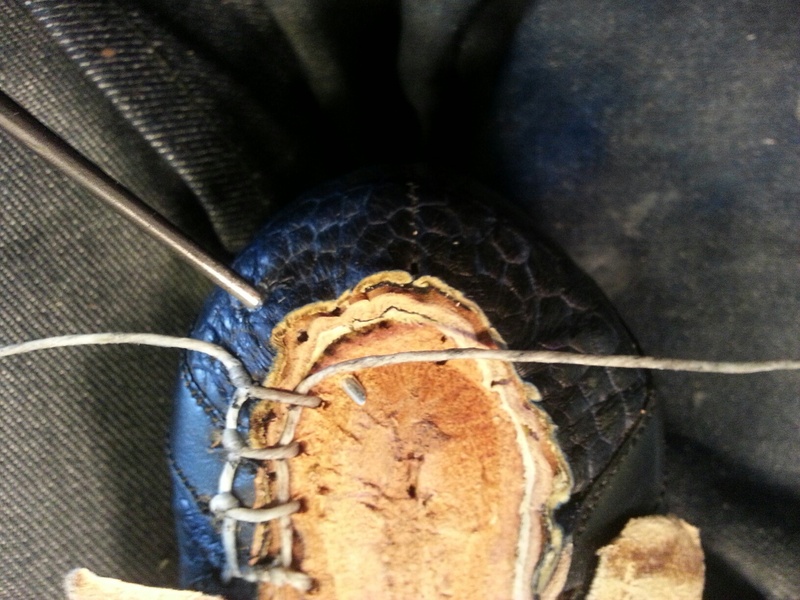 I stitched the soles a 10spi which took more time because I have to be careful with a skinny awl through such thick material.